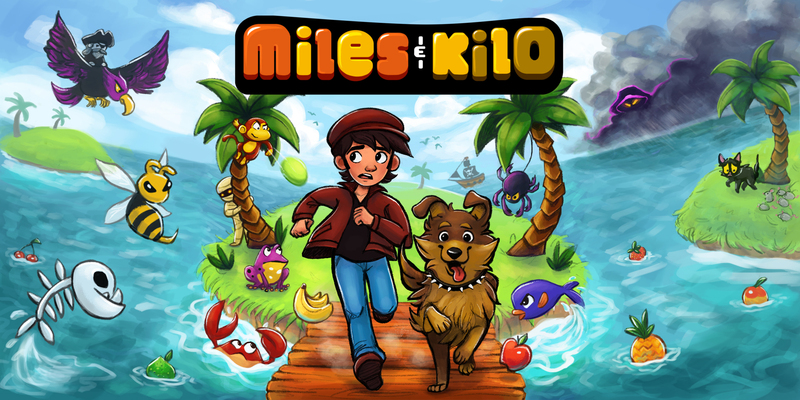 Miles & Kilo is out now on the Nintendo Switch! Hey all! Miles & Kilo just launched today on the Nintendo Switch. The game is a super tough retro-style platformer that I released awhile back on Steam and iOS, and the excellent Four Horses helped me bring it to the Switch. The game is also powered by MonoGame, so I thought you guys might be interested! We're already getting some really nice reviews from critics and YouTubers too, and we've received lots of compliments on how smooth and responsive the game is on Switch. MonoGame's performing on the Switch like an absolute champ, and we're super happy with how it turned out. Congratulations and nice work! The game looks amazing and I'm glad it's well-received! What was your inspiration behind this game (Ex. how did you come up with these characters and gameplay elements)? I love straightforward, fast-paced platformers, and I was mainly inspired by games like Adventure Island and BIT.TRIP RUNNER. As for the characters... Miles is inspired a bit by my grandfather -- he loved to fly planes and wear flat caps. Kilo was inspired by my two amazing dogs. Seeing the YouTube video did remind me of Adventure Island instantly. Good work! Is there a development blog for the game? Since I mainly did 3D stuff it would be interesting to see how you approached the different tasks that came up during development and what solutions worked for you etc. Hey, sorry about the late reply! I don't have a dev blog, no -- I mostly just post random Twitter updates, haha. If I make another game I do want to share/document the development a bit more thoroughly, so I think a blog would be a good idea. Do you have a blog/website for your 3D stuff? I feel like MonoGame is mostly used for 2D stuff, so I'm really interested in what your project's looking like! Unfortunately I don't have written blog posts about the development of my projects. I posted some updates and images here in the past. Writing blog posts would take to much time at the moment. But I think in @kosmonautgames deferred renderer which is available on GitHub and his blog should give you plenty of information in case you were referring to my deffered rendering project. Nice work! Did you do everything yourself (programming, art, music, sfx, etc)? @Gibs Thanks! I did the programming, design, and art; Chris Kukla did the music. @Kwyrky I hear ya, writing posts is time consuming! Especially for me, since I'm a really slow writer. Thanks for the link though, I'll check that out!